The estate hit the market in 2009 asking $27 million; it comes with six bedrooms, ten bathrooms, a 28-person theater, a gaming room, a spa and massage room, a gym, a wine cellar, a tennis court, a volleyball court, an equestrian ring, stables, and three acres of land. Drake paid just $7.7 million!! Out of the top 100 largest U.S. metros, Oakland ranks in the top 10 list of cities where it costs less to buy than rent!! 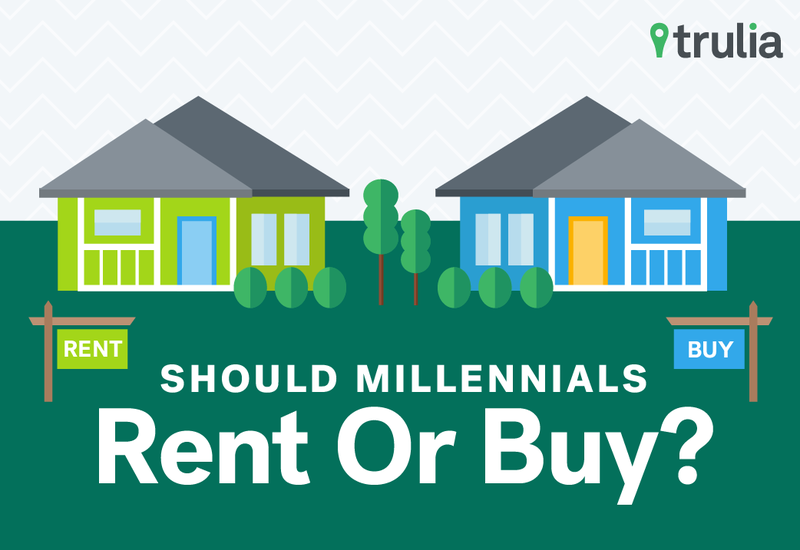 The average home price is now $617,357 and the average rent is $2,800/month. Click here to download the full Rent vs. Buy cost considerations for the 100 largest U.S. metros. 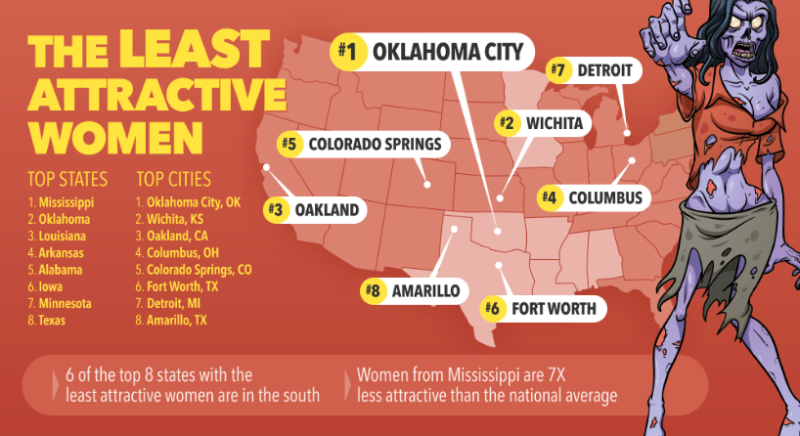 Oakland ranked #3 as the city with the least attractive women!! Now, that's scary!! Walkers are frequently sighted on International Blvd!! 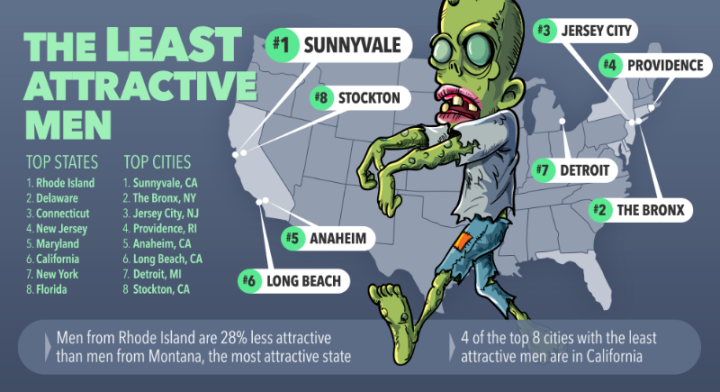 Sunnyvale ranks #1 with the least attractive men in the U.S.!! Apple has plans to expand into a 777,000-square-foot campus in Sunnyvale next year, where it could have 4,000 walkers. 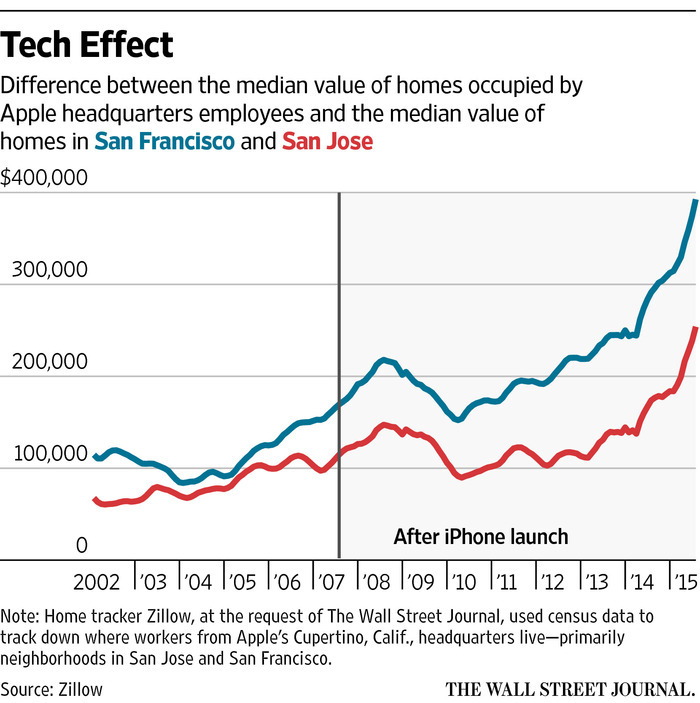 Employees at Apple live in pricier homes than others in San Francisco area, and values are rising faster in neighborhoods where the tech workers live, Zillow analysis finds. Homes occupied by Apple workers are appreciating at 18% a year, compared with 11% for San Francisco as a whole and 12% for San Jose. Hip-hop superstar Drake blew up the internet with his "dorky" dance moves in the video for "Hotline Bling". After the debut this week of the music video for his latest single, "Hotline Bling," it's safe to say that Drake has become a master at capitalizing on his awkward, boastful, at times slightly petty and emotional persona. Not cool is the new cool!